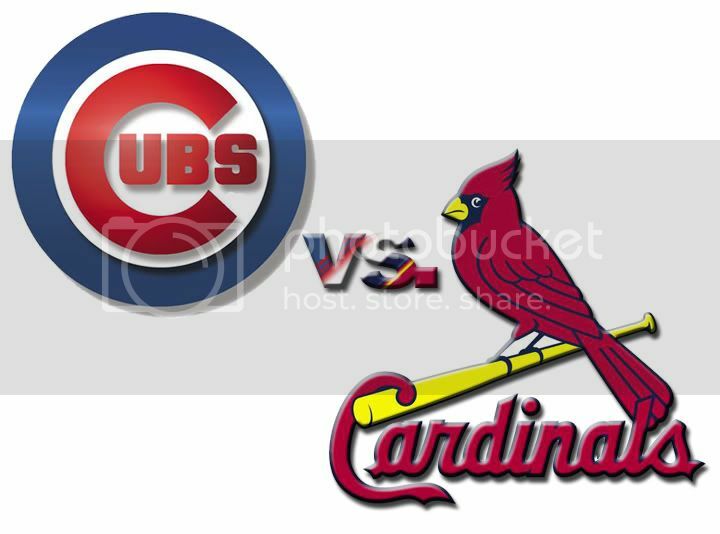 BETTER LATE THAN NEVER: Yesterday at Wrigley, Chicago twice erased two-run deficits and defeated the Cardinals, 8-7, thanks in part to Alfonso Soriano’s game-winning, two-run homer in the eighth inning … Aramis Ramirez was 3-for-4 with a run, double and three RBI while Derrek Lee (2 R) and Micah Hoffpauir (2B, RBI) had two hits apiece. Chicago has Monday off, and then entertains the Reds for three games, April 21-23, to complete this homestand. Monday’s day off will be Chicago’s last until May 11, as the club will play 20 consecutive days from April 21-May 10. Following this homestand, the Cubs will hit the road for a six-game trip, April 24-28, to St. Louis (3 games) and Arizona (3 games). TIMING IS EVERYTHING: Yesterday’s eighth inning home run was Alfonso Soriano’s second game-winning blast in the eighth-inning or later this season … down 5-4 in Milwaukee, April 11, Soriano hit a two-run shot in the ninth off Carlos Villanueva to help Chicago to the 6-5 victory. Soriano has hit eight career go-ahead homers in the eighth inning or later, including six in the ninth or later … of his five homers this season, four have put the Cubs in the lead. Aramis Ramirez had two two-out RBI yesterday vs. St. Louis, and has collected six two-out RBI in his first eight games … all told, the Cubs have scored 21 of their 52 runs with two outs thus far (40.4-percent). Cubs hitters are batting .239 (22-for-92) with five doubles, two homers and 33 RBI with RISP this season. OUTSTANDING OUTFIELD: Cubs outfielders have combined to bat .287 (33-for-115) with nine homers, 20 RBI, a .407 on-base percentage and a .591 slugging percentage … the .591 slugging mark ranks first among big league outfields while the nine homers are tied with the White Sox for tops in baseball … Cubs outfielders have drawn 20 walks, tied for third-most of any group of outfielders. In 2008, Chicago’s .357 on-base percentage from its outfielders ranked fourth in baseball while it’s 281 RBI was sixth. TEN-GAME RECAP: The Cubs are 6-4 in their first 10 games of the season, matching their mark through 10 games in 2008 after beginning the 2007 campaign 4-6. Chicago has 14 homers in its first 10 games … that ranks tied for second-most in the N.L. (Colorado) as St. Louis leads with 16 blasts … the Cubs also hit 14 homers in their first 10 games to start last season. THIS IS A SERIES-OUS STREAK: The Cubs are unbeaten in their first three series of the season, going 2-1 at Houston, 2-1 at Milwaukee and 1-1 against the Rockies … a victory today or Sunday would make Chicago unbeaten in its first four series to begin a campaign for the first time since 1980, when the club went unbeaten in its first six series (of two or more games). Chicago began the 1980 season by going 2-2 at New York, 3-0 vs. New York, 1-1 vs. St. Louis, 1-1 vs. Pittsburgh, 2-1 at St. Louis and 2-2 at Cincinnati. HOLDING THEM ON: Chicago has allowed just one stolen base in four attempts by its opponents in the club’s first 10 games … the Cubs are one of two teams to have allowed just one stolen base, joining the Marlins … St. Louis is one of two clubs to have allowed just two steals this season (Texas). WALK THIS WAY: Chicago has drawn 49 walks in its first 10 games, good for an average of 4.9 free passes per game … the 49 walks rank fourth in baseball (Cardinals are third with 50) … in 2008, Chicago drew 636 walks, just 14 shy of its franchise mark set in 1975 (650). GOOD HEALTH: The Cubs have opened the 2009 campaign without a single player on the major league disabled list for the first time in 23 years … Chicago previously broke camp totally healthy in 1986 – the first player to land on the shelf that season was Lee Smith on April 21 … thanks go out to Ed Hartig for his research assistance. WHAT DO DEMPSTER AND MARMOL HAVE IN COMMMON? Yesterday, Carlos Marmol entered the game in the ninth inning protecting a one-run lead … he picked up the save despite allowing the first two runners to reach base … the previous Cubs hurler to start the ninth inning with a one-run lead, allow the first two runners to reach base, and still pick up the save was Ryan Dempster … he turned the trick May 18, 2005 at Pittsburgh … thanks to STATS, Inc. for their research assistance. Looks like we have some guys who LOVE to face Kyle Lohse!